The program, dubbed Project Wing, has been housed under Google X, the company’s secretive facility where it created other projects like Google Glass and its self-driving cars. “Self-flying vehicles could open up entirely new approaches to moving goods—including options that are cheaper, faster, less wasteful and more environmentally sensitive than what’s possible today,” the company says in a document describing the effort. 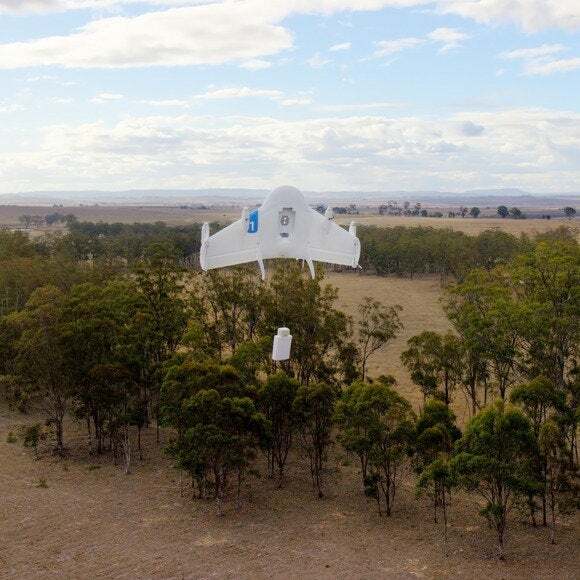 In a test, a Google drone lowers a package to the ground in Queensland, Australia. “Even just a few of these, being able to shuttle nearly continuously, could service a very large number of people in an emergency situation,” Astro Teller, Google’s “captain of moonshots,” as it calls its big projects, told the BBC. Amazon kicked off the delivery-by-drone craze in December when it said it was testing them for its packages, though some didn’t take the idea seriously at the time. Having unmanned vehicles buzzing around towns delivering packages seems like a radical and potentially dangerous endeavor, but Google’s involvement further validates the idea. The company stressed that it’s early days for Project Wing and it might be years before it comes out of testing. 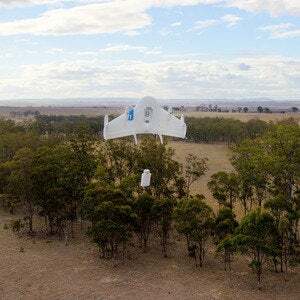 Also, “we have to fly efficient delivery routes that respect constraints such as noise, privacy, and safety of those on the ground, and we have to be good enough to deliver to an exact spot the size of a doorstop,” Google said.